Don’t miss our 2nd annual Kids’ Halloween Party! Put on your costumes and bring the whole family! We will have trick-or-treating, face-painting and prizes. You will also be able to go through the Haunted Gym…at your own risk of course! 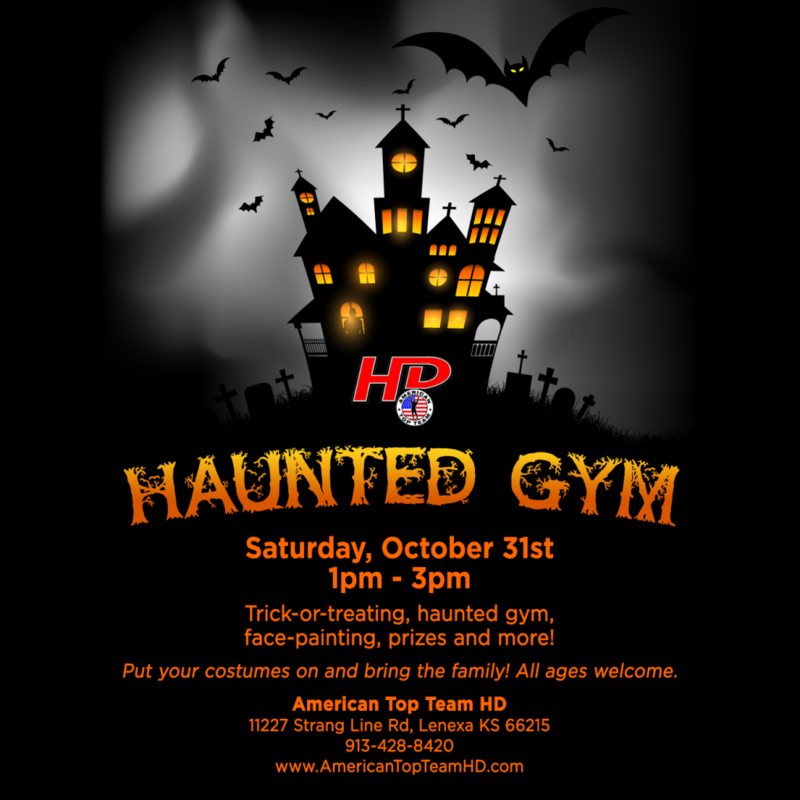 The ATTHD Haunted Gym and Halloween Party will take place on HALLOWEEN – Saturday, October 31st, from 1pm – 3pm. Admission is FREE and open to everyone, members and non-members. Come have a good time and learn about our new youth program offerings while you’re at it!